So yes it may have been the worst weather in over 20 years but twenty years ago people just got on with things but now everything comes to a standstill which begs the question what would actually happen if we had seriously bad winters like they do in Eastern Europe or even the United States? 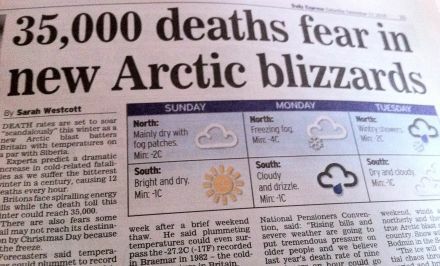 In December the media hoped that we forget about the coverage in February and how the “Killer Snow” brought the country to a halt, so when the dreaded white stuff decided to make another winter appearance, they laughably went a little too far by saying it’s the worst winter in 300 years and it could kill 35,000 people! If you are reading this overseas you could be forgiven for thinking Great Britain were suffering horrific arctic weather conditions but the reality is we received inches of snow. By contrast it was of great amusement to see how America dealt with winter conditions. New York for example had 2 feet of snow within only 24 hours, that’s right two feet not two inches! in fact some areas left piles of snow as deep as 80 centimetres (32 inches). 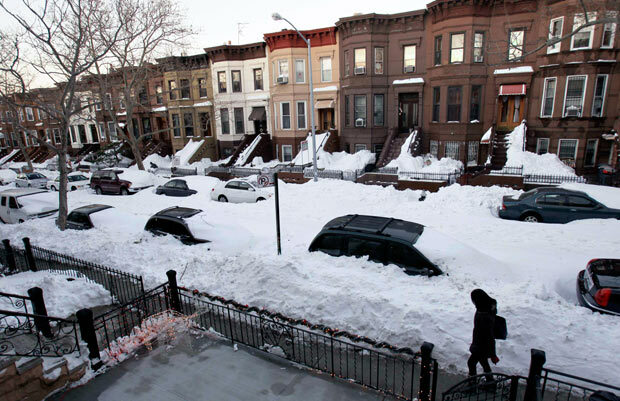 ITN, BBC, SKY, Daily Mail and co, this is proper snow..Brooklyn style. I think that sums the UK’s weather and the medias coverage of it perfectly, if an NFL game being cancelled after two feet of snow falling in 24 hours makes them a nation of wusses, I dread to think what that means about the UK with only a few inches, maybe our resident travel expert Simon Calder can come to out rescue. In the meantime Ed Rendell we salute you.